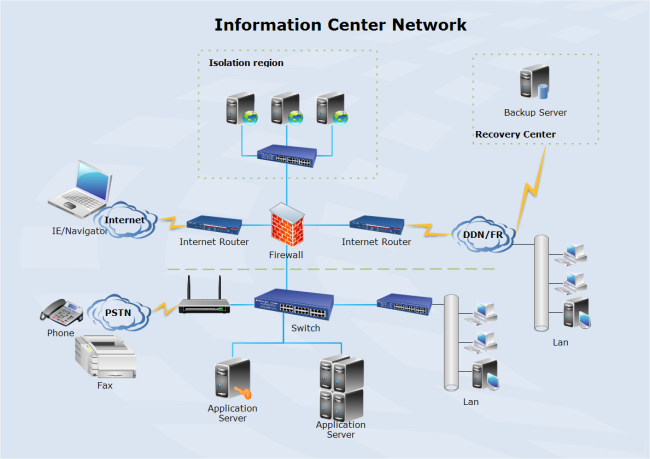 Description: A free customizable information center network template is provided to download and print. Quickly get a head-start when creating your own information center network diagrams. Use it to speed up your work and bring life to your design. CCTV network diagram template sharing community allows users to freely post their great CCTV network diagrams and share with others. Meanwhile, they can also download any diagram they want and customize for their own use.